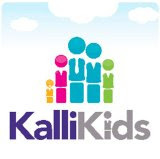 I have just learnt about KaliKids this is a fantastic brand new service, they have just launched in Sussex and will be quickly expanding to the rest of the UK. I have really enjoyed exploring the Kallikids website they are a free service for parents, they aim to take the unknown element out of searching and choosing activities for our children. What really appeals to me is being able to see feedback from other parents about their experiences, this will help me make the right choice when choosing an activity for my son. All of KalliKids activity providers are fully referenced and accredited before they can feature, so when choosing an activity this will immediately give me piece of mind.